The Sansevieria plant, also known as the Mother in Law’s Tongue or the Snake Plant (Sansevieria Trifasciata Laurentii), is an amazing plant for indoor spaces due to its superb air cleansing and purifying qualities. Most of us don’t really think about how many contaminants we have in our homes on a daily basis. 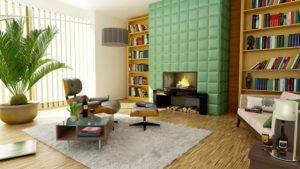 Unless everything in your home, including your furniture, carpets, paint and floor and cleaning products are all organic and eco-friendly, which in reality, is highly unlikely, there is a great likelihood of pollutants and toxins in the household air you breathe. In this day and age, there are so many household contaminants in our cleaning sprays, air fresheners, fabric conditioners, carpets, building materials, paint and many things we use in our daily lives, without even realising. Certain plants are good for their air purifying and cleansing properties, Sanseviera is one of them. 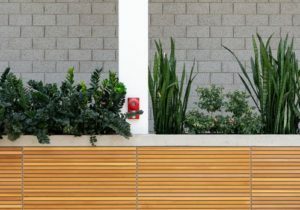 Why should we consider air purifying plants such as the Sansevieria? 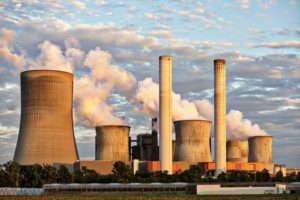 Studies, including those by NASA, show that this plant is able to remove toxins such as toluene, formaldehyde, xylene and nitrogen oxides and other microbial pathogens. According to the U.S Environmental Protection Agency, the air quality inside the average home is up to five times more polluted than the air outdoors! 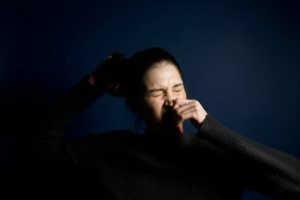 We may feel that a good quality air freshener, pot-pourri or reed diffuser is the answer but the sad reality is most of these also have synthetic, artificial fragrances and chemicals that may even cause allergies and irritants, without us even realising. Nature is a natural healer, so why not consider bringing certain plants inside your living space, to help cleanse your air and indirectly help your health? How big should the Sanseviera plant be to help purify the air? NASA studies focused on how to clean the air in space stations, recommends that at least 15-18 medium-to-large size plants for a home which is approximately 1,800 square feet. Even if you feel this is a huge number to buy and maintain, isn’t it still worth buying a few or even just one. They won’t have the same effect, but even one is better than nothing. 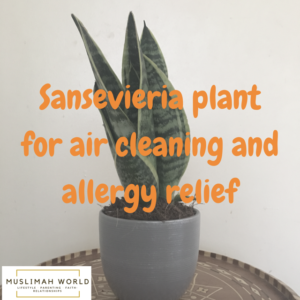 How does the Sanseveria plant purify the air? It absorbs toxins through its leaves and produces oxygen. It is one of those rare plants that are ideal for bedrooms as it actually continues to produce oxygen during the night, whereas most other plants are not recommended for bedrooms as they release carbon dioxide during the night (due the absence of sunlight). The plant does not produce allergens (unlike some plants), which means it won’t affect people with allergies. It reduces airborne allergens and it may release moisture into the air. Plants with furrier leaves tend to collect more potential allergens, unlike the Sanseveria, which has smooth leaves. 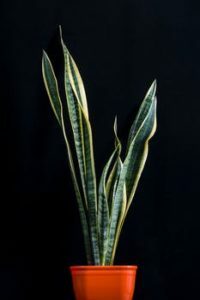 What does a Sanseveria plant look like? It isn’t particularly attractive, its leaves are dark green, rigid and thick with a kind of a snakeskin pattern across them. The leaves are slightly spiky on the sides. 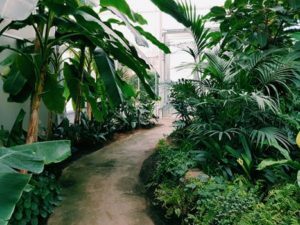 Aside from its non-aesthetic beauty (although beauty is in the eye of the beholder), its air-purifying properties make it one of the best indoor house plants to keep. Are Sansevarias hard to maintain? Many of us, with our busy lives and lack of greenfingers, find it hard to maintain plants. However, being a West African tropical plant, the Sanseveria plant does not require a lot of maintenance. It is happy in a range of light levels and doesn’t require much water to keep it happy. They are usually not very expensive to buy either, making it a good all-round plant. Some people develop symptoms of poor health and allergies by being in an environment of poor air quality. These can include symptoms such as coughing, nose and throat irritation, itching, nausea and muscle aches. However, once the person leaves the building, the symptoms clear up shortly after. People can get these symptoms within spaces of poor air quality due to chemicals in upholstery, carpets, cleaning products, mould etc. Many people wonder why their children develop irritations at home, it could be related to the toxins in the air, especially related to many household cleaning products, that are used in an unventilated environment. Through the NASA studies, the scientist Dr B.C Wolverton identified 50 houseplants that remove many air pollutants. During two-year study by NASA, with the assistance from the Associated Landscape Contractors of America, Dr B.C Wolverton studied the interaction between plants and air. He found that houseplants, when placed in sealed chambers in the presence of specific chemicals, removed chemicals from chambers. Therefore he concluded that certain plants can some types of pollutants and toxins from places such as homes, factories and offices. In a later study, Wolverton expanded his research and assigned the plants a rating from 1-10, based on the plant’s ability to remove indoor chemical toxins, ease of maintenance and resistance to insect infestation and rate of which water evaporates from the leaves. His study is summarised in his book “How to Grow Fresh Air- 50 Houseplants that Purify your Home or Office”. For the sake of your own health isn’t it worth investing in some air purifying plants, to place around your property. Not only do plants bring places to life, they are actually good for your health. The Sansaveria plant can be found in many local supermarkets and garden centres, at a relatively good price. It doesn’t require much maintenance and can be kept in bedrooms as it continues to produce oxygen throughout the night, unlike most plants. If you are considering buying plants to purify your air at home, the Sansaveria, is definitely one worth buying. Click here to search for Sansaveria plants.